Look out your window! If you're on campus, the bright blue sky, the crisp fall air, and the smell of fried dough mean one thing: It's Lake Day. The Schneider Board of Governors (SBOG) once again hosts the celebration of fall, friends, and fun. SBOG organizes and hosts large-scale events like Lake Day and Spring Week, now reliable and loved traditions at Wellesley. Lake Day grew out of the desire for students to take a break from the rigors of their academic pursuits and have fun. Held in the fall, the student body surprises the College community with a picnic and other festivities, and a chance to enjoy the campus surroundings—announced only the night before. 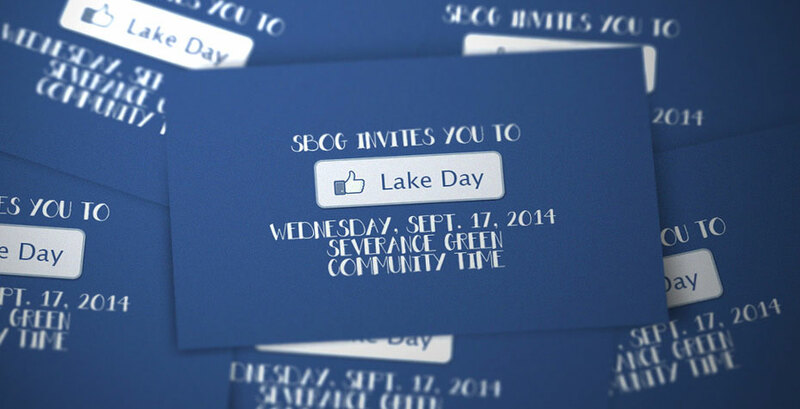 In recent years, Lake Day has taken on a theme to creatively interpret the tradition. This year's theme is Games, Apps, and Technological Fun. Past themes have included Greased Lightnin', Game of Thrones, Charlie and the Chocolate Factory (with Wendy Wonka), Harry Potter, and Alice in Wonderland.